Already a bronze medalist in the team figure skating event, the 28-year-old said that even after his 10th place finish in the men’s individual event, he still feels like a winner. Rippon was an alternate for the 2010 Vancouver Games and didn’t make the 2014 Sochi team (instead, he ate In-N-Out Burger with fellow 2018 teammate Mirai Nagasu). His Olympic debut was a long time coming (and the internet freaked out when it finally happened). With luck, Rippon’s 2016 quote of ‘I’m like a witch and you can’t kill me. I keep coming back every year, and every year, I get better,’ will ring true, and the U.S. will have years of Rippon to come, whether it be on the ice or behind the mic. 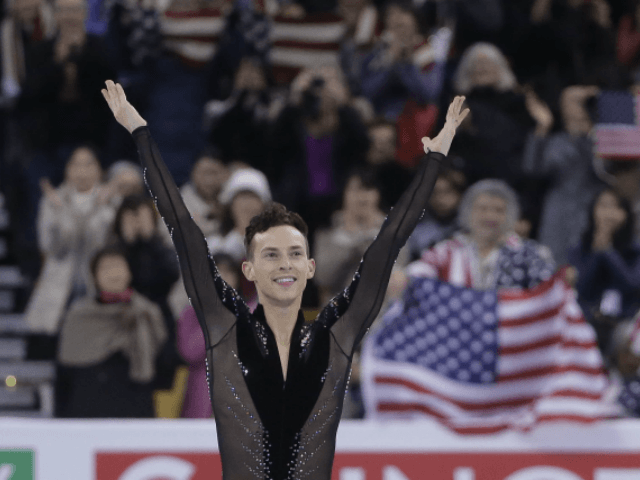 Rippon immediately began his one-sided feud with Vice President Pence, after it was announced that the VP would lead the U.S. delegation to the the Winter Olympics. Rippon accused the VP of advocating for the funding of gay conversion therapy, based on a vague reference on Pence’s website, which did not specifically mention conversion therapy. Perhaps sensing how boring it can sometimes be to argue with one’s self, since Pence had not responded to any of Rippon and Kenworthy’s attacks, Rippon told reporters he did not want Pence becoming the story of his Olympics.